All the fighters slated to participate in tomorrow night’s “UFC Fight Night: McGregor vs. Siver” event will be tipped the scale Saturday inside TD Garden in Boston, Massachusetts. 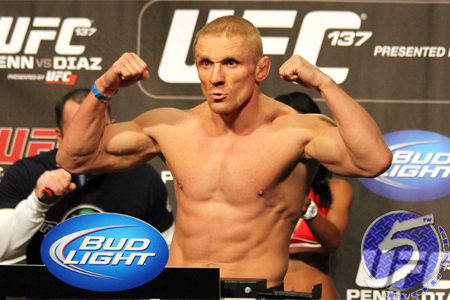 Veteran Dennis Siver (pictured) looks to derail the hype train that is Conor McGregor in Sunday’s featured contest. Donald Cerrone is hoping the third time’s the charm when he faces Benson Henderson in the co-main event.